Night Landscape. 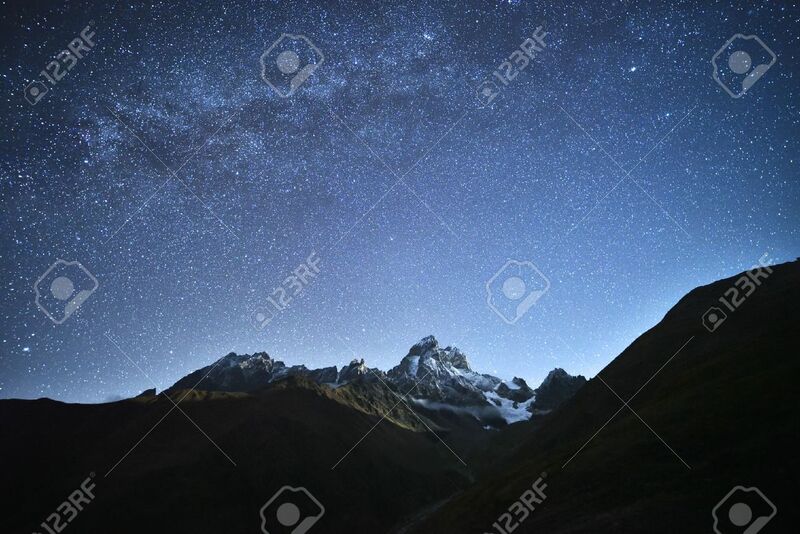 Starry Sky With The Milky Way Over The Mountains. Mount Ushba In The Light Of The Rising Moon. Main Caucasian Ridge. Zemo Svaneti, Georgia 免版權照片，圖片，畫像及圖片庫. Image 48209861.